Every girls loves a beautiful crystal that brings light as well as luck. Therefore RoseSlots decided to gift them with the best slot machines that incorporate crystals in the design. Our experienced staff played the crystal themed online slots with high reputation scores, analysed them, and shortlisted the best of them based on a variety of features such as the design, rewards, and entertainment. Actual player comments also played a big part in listing these slot machines in order to make it a practically correct list rather than something based on just numbers. All RoseSlots girls are invited to play some of these games and let us know what you think of our choices for you. The colourful crystals are floating across the mesmerising universe creating winning combinations on 50 paylines for you. The most attractive thing about this game however, is the Free Respins for non-winning spins. To make it even better, Wild Reels will stick during Free Respins. In the base game the Expanding Wild awards you bigger chances of winning. And all this come at the RTP of 95%. 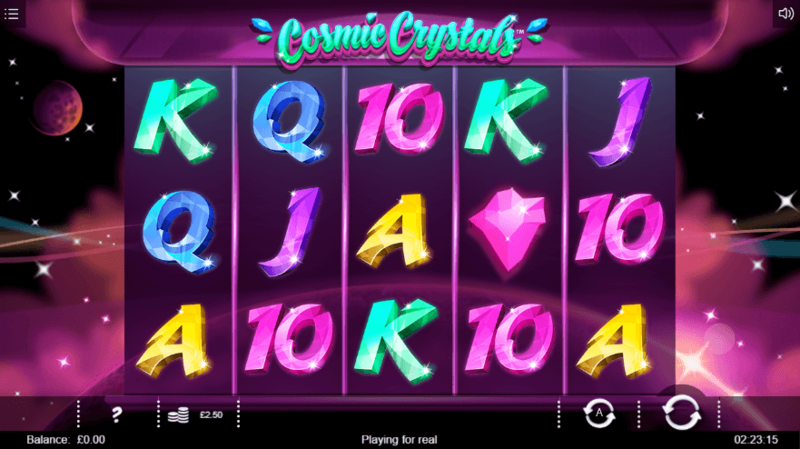 A simple game with many features, the Cosmic Crystals slot made in to the RoseSlots list of top 5 crystal themed slot machines. Win up to a massive multiplier of 5000x while enjoying the beauty of the glittering crystals on a 7x7 grid. With minimum and maximum bets standing at £0.10 and £100, this slot machine offers you a massive Jackpot of 500,000 coins. Base game is generous too with a top value symbol with 1000 coins but the best news is that there is a progressive multiplier too which peaks at 9x that would allow you to open Treasure Chests. 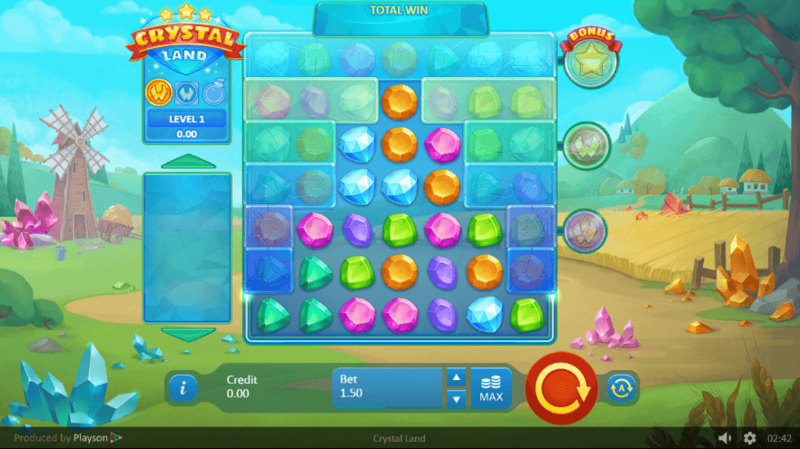 Crystal Land UK slot qualifies to stay on our list of top 5 crystal themed slot machines. 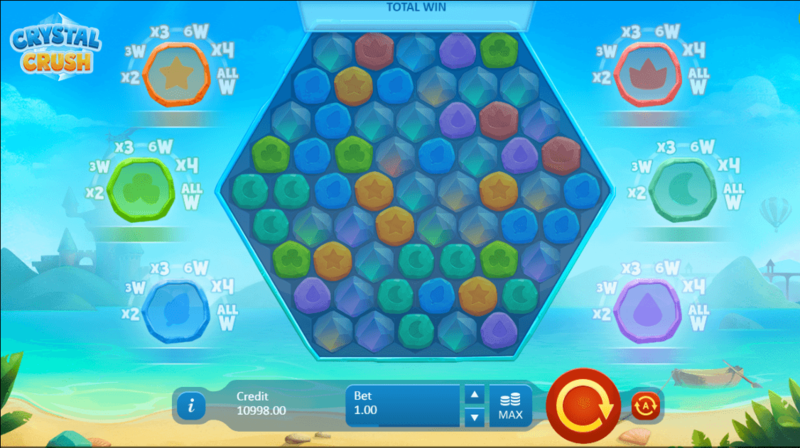 A game with a totally new design, a honeycomb, invites you to win more than 1000x of your bet. There are 61 symbol spaces, of which any 5 or more adjacent identical colours would award a prize. Each symbol has a progress bar, filling which you win Bonuses associated with it. You will progress from level 1 to level 6 by filling each meter and winning prizes and multipliers at each level. And at no win spins the Crystal Crush feature will be triggered randomly. Novelty in design and prize structure are some reasons why the Crystal Crush slot game made in to the list of top 5 crystal themed slots to play on RoseSlots. You will be taken to a cave where beautiful crystals fall and crush in Candy Crush style creating a spectacle. There are 25 paylines to reward you while you can enjoy this game as much as you like betting from a minimum of £0.10 up to a maximum of £50. 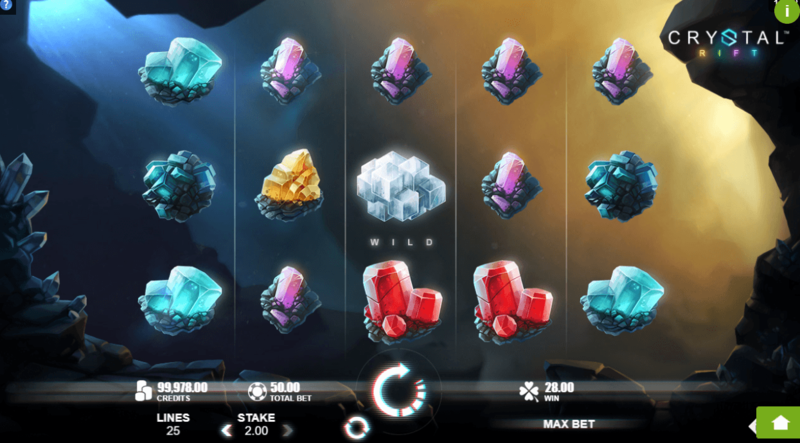 Bonus Falls would ensure more value for your money while the Wild Grid feature would replace every symbol on the reels with Wilds thus making you a winner without a doubt. You can retrigger the Wild Grid feature after 3 falls. Stylish, colourful, and entertaining, the Crystal Rift slot is definitely one of the top 5 crystal themed slots to play on RoseSlots. Find your favourite fruit symbols are made from crystals to bring you luck. Coming with a generous RTP of 96.55%, the paylines can vary from 5 to 243 as you proceed. The 243 Respin feature has a progressive multiplier of up to 5x. The Wild symbol substitutes all symbols and it also triggers the 243 Respin feature. The top value symbol has a 40x multiplier and the minimum and maximum bets are £0.20 and £100 respectively. 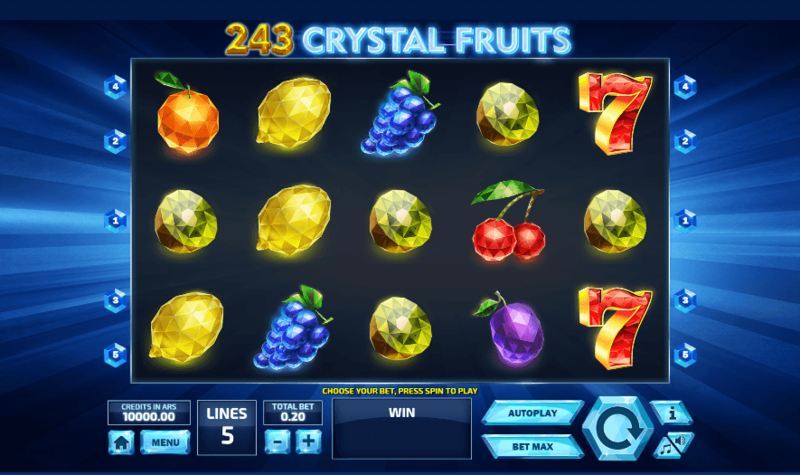 243 Crystal Fruits slot is a great slots game for those who love the play the nostalgic fruit machine with a digital touch.